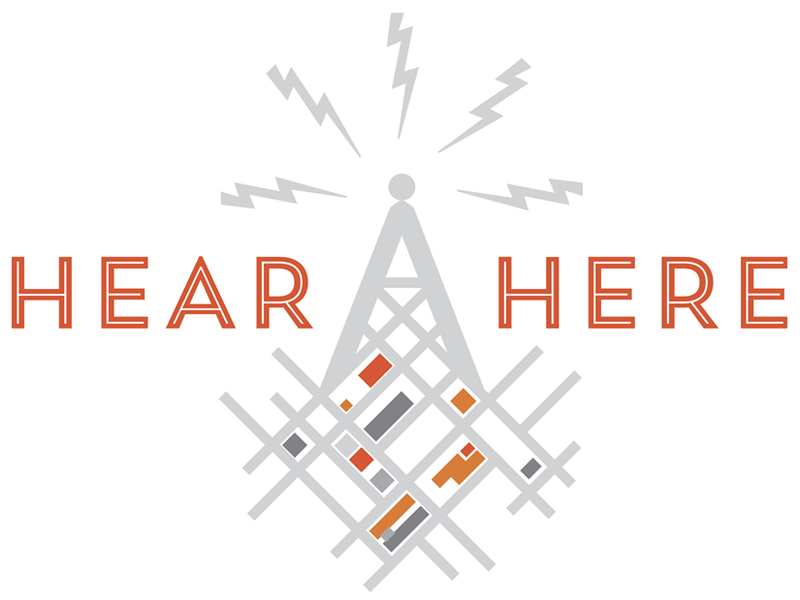 Hear, Here gives a voice to familiar spaces—spaces that we move through every day. The humblest building, nondescript corner, or unremarkable stand of trees can be transformed by the stories we tell about them. 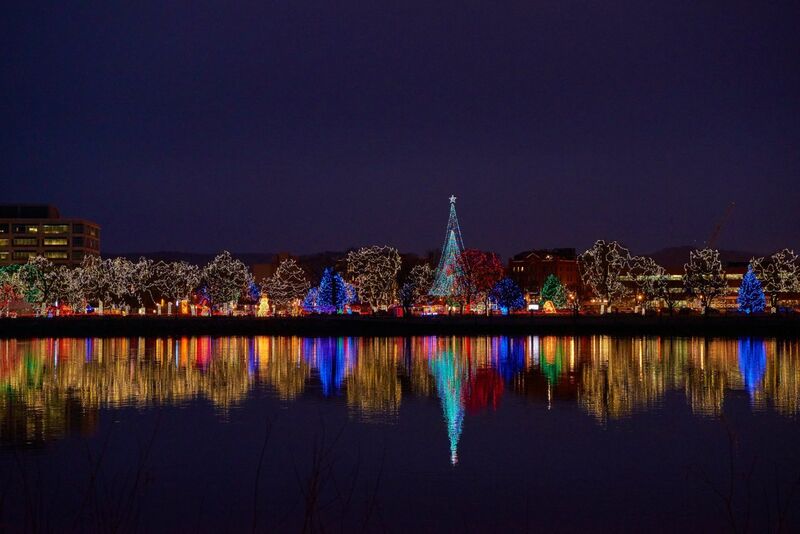 Once heard, these stories can change the way we think about spaces and the community at large. 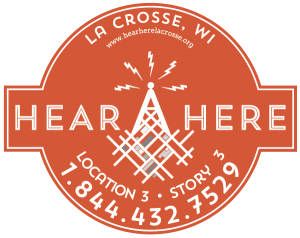 In downtown La Crosse, orange street-level signs with the Hear, Here logo show you where stories are located. 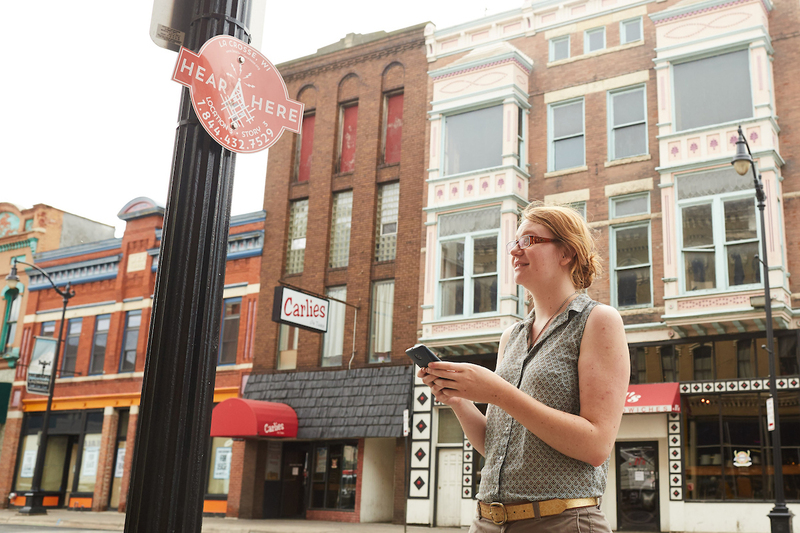 With your mobile phone, dial the toll-free number on the sign to access a first-person account of things that happened in the exact location where you stand. Access these same stories by clicking the icons in the map above to experience our history from the comfort of your own home. 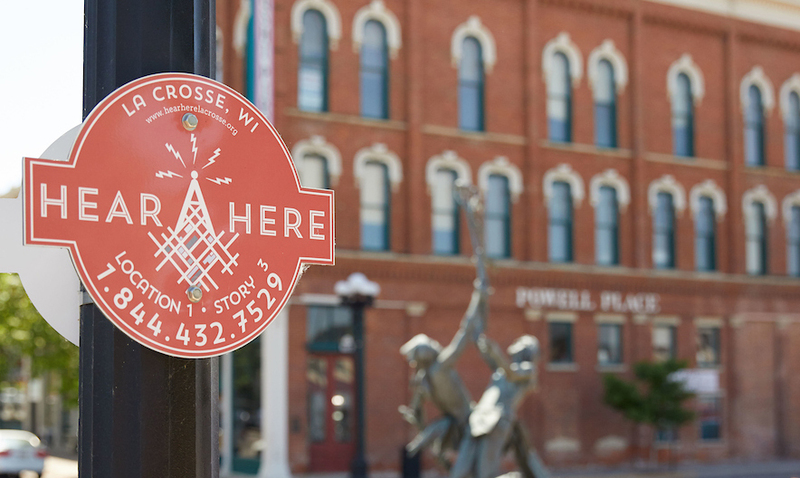 Hear, Here stories are featured in thematic walking tours on the Footsteps of La Crosse website. These tours were developed by students in HIS 300: Public History in Theory and Practice.